Time flies when you’re having rum, and so it was with the summer of 2012, which went by way too quickly and is already starting to fade in the rearview mirror, now that Labor Day is in the books. 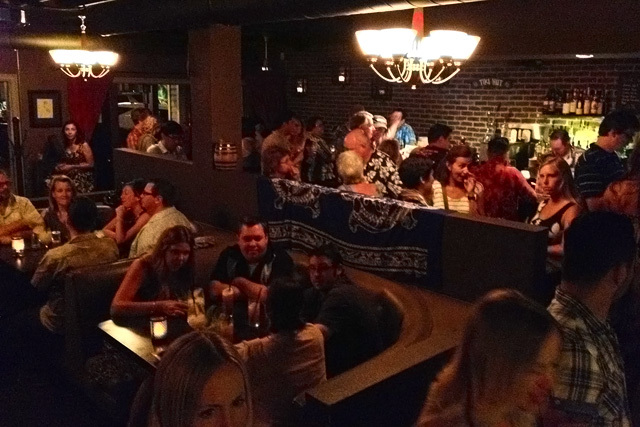 One of the standouts of a late-summer week of tiki events was the Tiki Throwdown, “an evening of Polynesian Pop and Delectable Cocktails” that took place at 320 Main in Seal Beach. Expanding on the format of last summer’s Don vs. Vic duel, five tiki icons were pitted against each other: Jeff “Beachbum” Berry, Martin Cate (Smuggler’s Cove), Stephen Crane, Don the Beachcomber and Trader Vic. 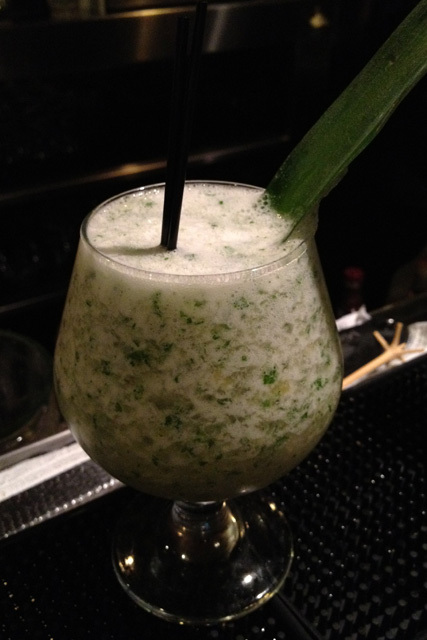 As before, the tiki champion would be determined by popular vote, with each guest voting for his or her favorite cocktail. 320 Main’s Jason Schiffer and Matt Robold (RumDood) were behind the stick, joined by Kelly Merrell from Trader Sam’s Enchanted Tiki Bar. 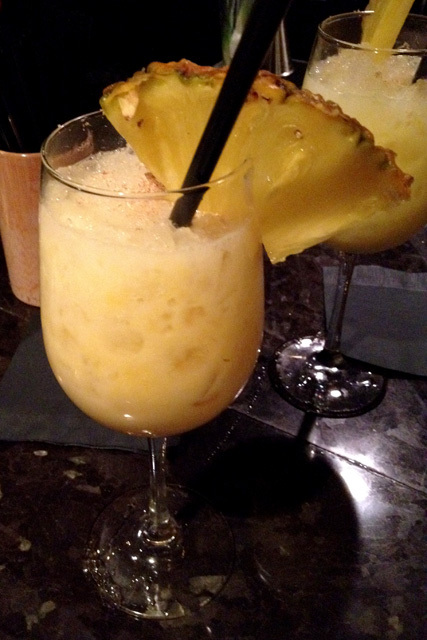 Despite my late arrival, I did manage to sample nearly all of the competing tiki drinks. Robold and Merrell were making cocktails to order, while Schiffer was on punch detail. The advice from Dave Stolte (Home Bar Basics) and Matt Talbert (The Old Fashioned Artist) was to try Cate’s Pampanito first, and sure enough it was fantastic. Made with Pampero, Allspice Dram, fresh lemon juice, molasses simple syrup and Angostura Bitters, the Pampanito set the Tiki Throwdown bar very high. So high in fact, that it pretty much locked in my vote after just a few sips. The Pampanito is named for the WWII submarine that’s designated a National Historic Landmark and is moored at San Francisco’s Maritime Museum, near Fisherman’s Wharf. 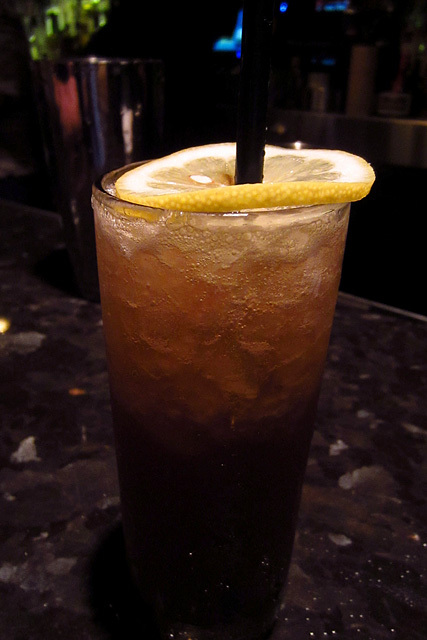 Ancient Mariner by Beachbum Berry: El Dorado 12, Smith & Cross, Allspice Dram, fresh lime and grapefruit juices, cane syrup. 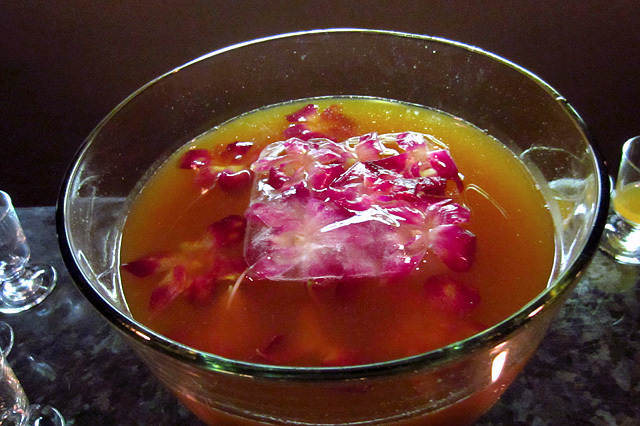 Jet Pilot Punch by Steve Crane: Ron Matusalem Clasico, Coruba Dark, Lemonhart 151, housemade falernum, fresh lime and grapefruit juices, cinnamon simple syrup, Angostura Bitters, Pernod Absinthe. 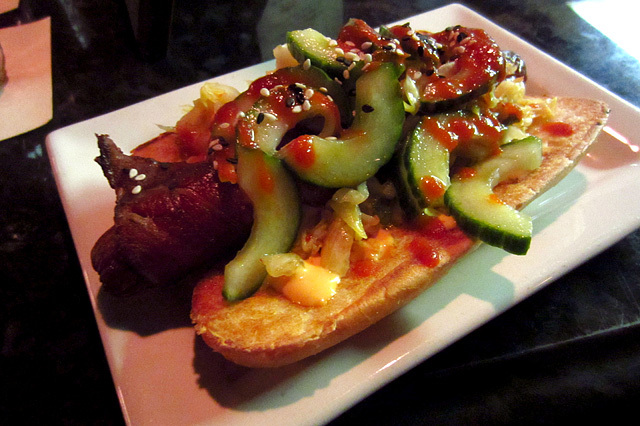 Serving hot dogs on its tiki nights is a 320 Main tradition, and the go-to dog for the Tiki Throwdown was the Korean Dog: bacon-wrapped with kimchi, pickled cucumber, spicy mayo. Plenty of heat and savory bite, just the thing to pair with the sweet and tart tiki cocktails. 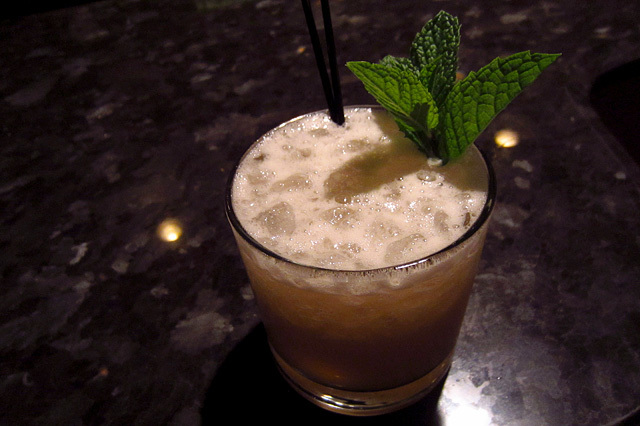 Trader Vic's Mai Tai: Clement VSOP, Appleton Reserve, creole shrub, housemade orgeat, simple syrup, fresh lime juice. Then it came time to announce the winner, and the Pampanito took the popular vote in a landslide. 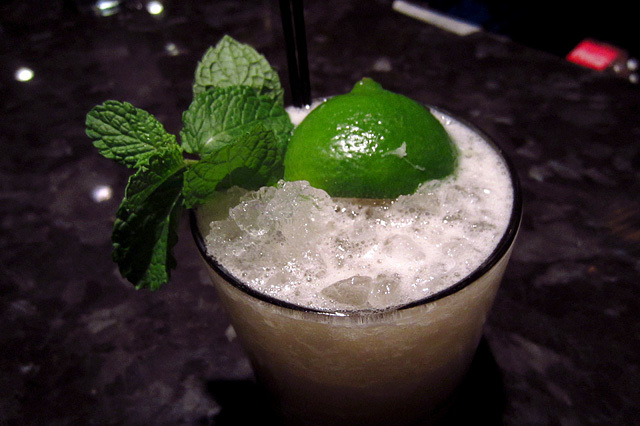 Coming in second was the Missionary’s Downfall, and the Ancient Mariner was third. 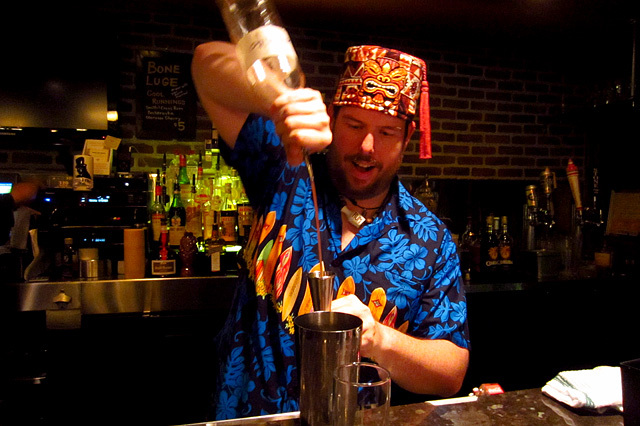 The people had spoken, and Martin Cate was the winner of the 2012 Tiki Throwdown! Actually, there was one more winner that night: yours truly, who somehow won the raffle grand prize of an autographed copy of Beachbum Berry Remixed and a 320 Main gift certificate. And to think, I was about to go home after working late instead of heading down. It’s a lesson I’ll take to heart: when in doubt, go to 320 Main. 320 Main photo by Dave Stolte. 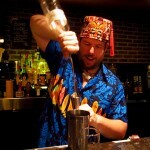 For more images from the Tiki Throwdown, please visit the Thirsty in LA Facebook page. Don vs. Vic at 320 Main: Everybody Wins!